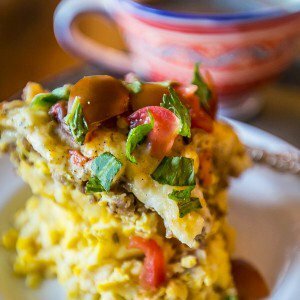 Successfully saved Slow Cooker Sausage Hashbrown and Egg Breakfast Casserole to your Calendar. You can also save the ingredients to your Grocery List. Slow cooker sausage and hashbrown breakfast casserole is an easy, delicious meal with sausage, hashbrowns, and eggs that cook perfectly in a slow cooker! Perfect for brunch parties.